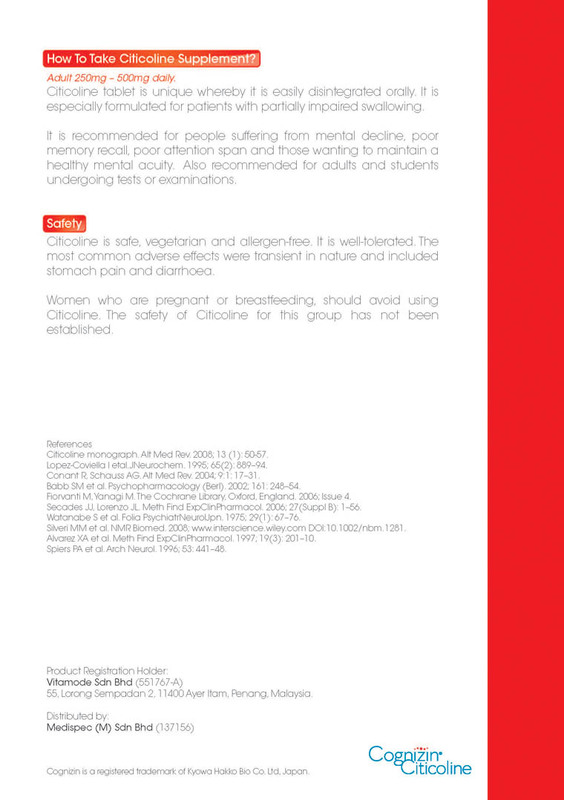 Vitamode® CogniPro Tablet consists of Citicoline, a brain nutrient that helps to improve brain energy and enhance memory. Our brain makes up 2% of the body’s weight but it consumes a good 20% of the body’s energy in general. 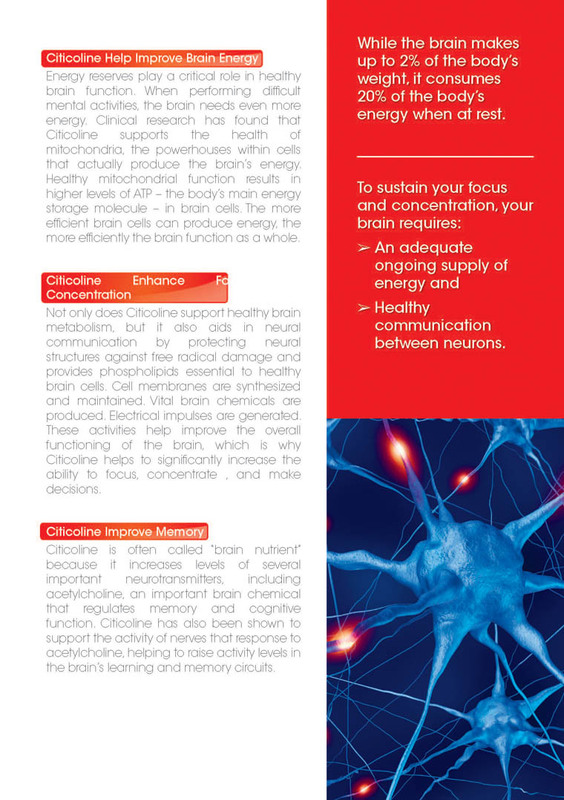 Therefore, an adequate ongoing supply of energy and healthy communication between brain cells are important to sustain our focus and concentration. 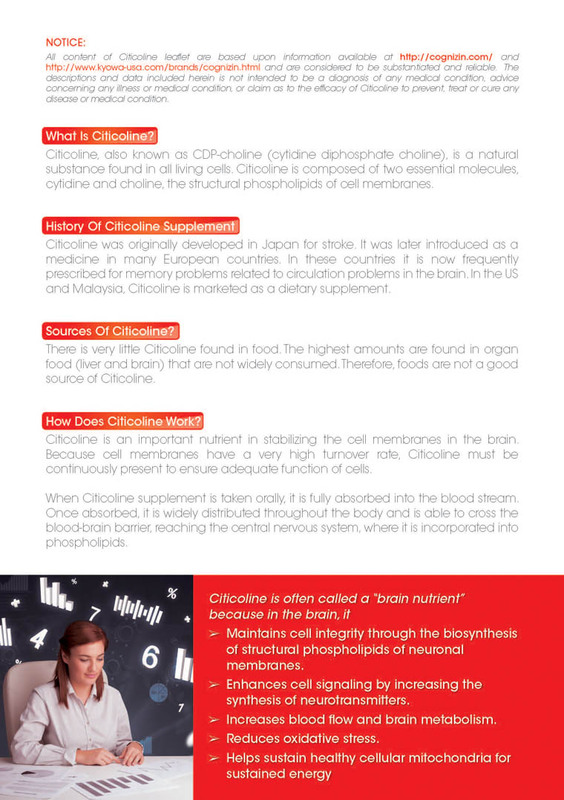 Citicoline increases levels of neurotransmitters like acetylcholine, an important brain chemical that regulates most cognitive functions. 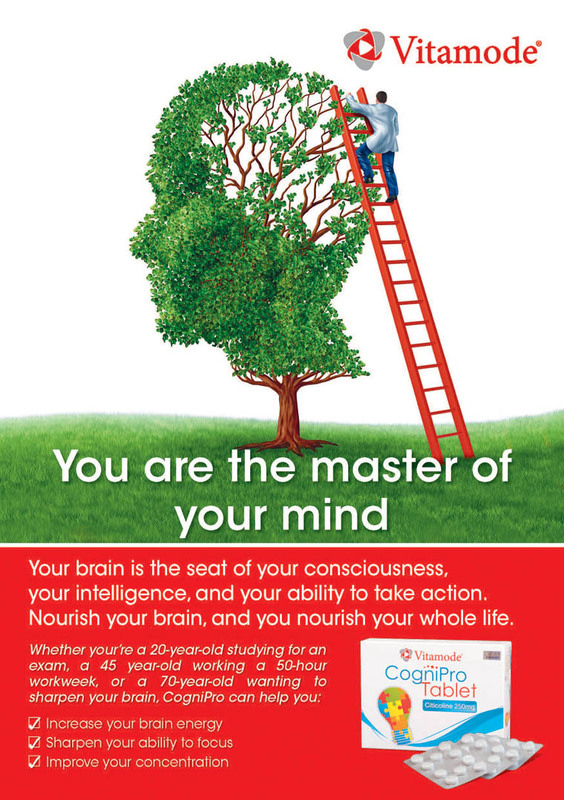 Vitamode® CogniPro Tablet ensures a sharper brain at any age!